Sue passed away Monday, January 30, 2017 at Borgess Medical Center. She was born November 27, 1965 in Wisconsin the daughter of Eugene Spears and Sharon Jager. As a teenager Sue moved to Michigan and was a Plainwell High School graduate. For 10 years she had worked for McPherson Plastics in Otsego. Sue loved animals and had taken in many strays over the years. Quilting was her passion along with doing crafts and baking and enjoyed surprising her family with new recipes. On October 6, 1991 in Allegan she married Jeff “Katje” Martin who survives. Also surviving are her parents; sons, Anthony “AJ” (Laura) Foote of Martin and Chad (Sami) Martin of Battle Creek; 2 grandchildren, Shailyn Foote and Emily Martin; siblings, Kristy, Geneva, Cami, Kimmy, Christopher, Donald, Mitch and Eugene; mother-in-law, Marilyn Katje; sister-in-law, Kim; many nieces, nephews, great nieces and great nephews. Contributions in memory of Sue may be made to Wishbone Pet Rescue Alliance of Allegan County. 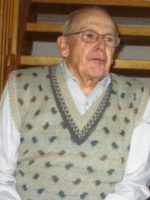 Dan passed away Sunday, January 29, 2017 at his home in Otsego. He was born March 29, 1961 in Boise, Idaho the son of Daniel and Mary Sue (Confer) Hurlbut. 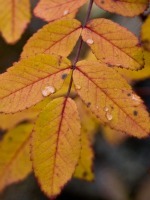 Dan enjoyed going to craft shows, reiki, studying religions, growing flowers and working on his lawn. Surviving are his parents; daughters, Maurisa Leslie of Allegan, Natesha Hurlbut of Kalamazoo and Shenea (Jeff Leslie) Hurlbut of Allegan; grandchildren, Chloe Leslie, David Bosma, Matthew Jackson, Kiara Young, Riley Young, Bentley Young, Domanick Leslie, Myla Young, Lucas Leslie and J-Lynn Leslie and his brother, David (Marta) Hurlbut. A memorial visitation will be held from 2-4 P.M., Saturday, February 4, 2017 at the Otsego Church of God in the fellowship hall. Contributions in memory of Dan may be made to the Otsego Church of God. Charleen passed away Saturday, January 21, 2017 at Rose Arbor Hospice. She was born May 19, 1929 in Kalamazoo to Harlo and Helen (Price) Perry. 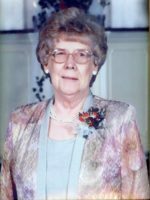 For 47 years she had worked at Pearson Rumble Insurance Company in Plainwell. Charleen enjoyed doing word searches, watching sports, especially the Chicago Cubs and Detroit Tigers, traveling and fellowship with her friends at church. She was a member of the First Baptist Church in Plainwell and Northeastern Baptist Church in Kalamazoo. Surviving are her siblings, Elaine Keith of Plainwell and John (Dawn) Perry of CA; niece and nephews, Sherman (Karen) Couk of Vicksburg, Crystal (James IV) Bennett of CA and Michael (Theresa Choi) Perry of CA. She was preceded in death by her parents and sister, Norma (Charles) Couk. Friends may visit with Charleen’s family starting at 1:00 P.M. Friday, January 27, 2017 at the Winkel Funeral Home, Otsego until the time of the funeral service at 2:00 P.M. with Rev. Greg Bishop officiating. Burial will take place at Hillside Cemetery, Plainwell. Contributions in memory of Charleen may be made to the Northeastern Baptist Church of Kalamazoo. 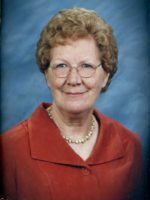 Barbara passed away Sunday, January 22, 2017 at her home in Plainwell. She was born February 5, 1935 in Chicago, IL the daughter of Russell and Vivian (Revoir) VanAntwerp. For many years Barb had worked at Parker Hannifin until her retirement. In her spare time she enjoyed knitting, crocheting and going on senior casino trips. On August 18, 1997 in Plainwell she married Bernie Pratt who survives. Also surviving are her children, Crystal (Jim) Veldt of FL, Arthur Roebuck of Plainwell and Steve (Robin) Folk of Otsego; step-children, Shirley (Bill) Sutton, Kenton Pratt, Julie Yarbrough and Peggy Ratulowski; many grandchildren and great-grandchildren along with her sisters, Carol (Harold) Dunlap of Allegan and Erna (Lonnie) Vincin of Kalamazoo. She was preceded in death by her parents; brothers, Richard, Robert and Russell; sons, Douglas, Austin and Marty and step-son, Kennith Pratt. Friends may visit with Barb’s family from 2:00-4:00 P.M., Tuesday, January 24, 2017 at the Winkel Funeral Home, Otsego. Contributions in memory of Barb may be made to Reverence Home Health and Hospice. 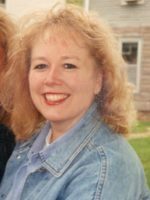 Cheryl passed away December 6, 2016 at her home in Plainwell. She was born January 13, 1944 in Kalamazoo the daughter of Clarence and Doris (McVicker) Walmer. For many years Cheryl worked as an RN at Bronson Hospital until her retirement in 1999. Surviving are her children, SuAnne (Raheem) Elhabrush of IN, Forrest “David” Owen of Otsego and Loraine (Joshua) Stephens of Plainwell; 9 grandchildren, Eric (Samantha) Owen, Nicholas (Katie Himmelein) Owen, Seth Owen, Yusef, Qasim and Nuri Elhabrush, Joshua and Chad Cowels and Carissa Stephens; great-grandchildren, Michael, Payton, Willow and Dexter Owen and a special foreign exchange student, Rogelro Lemus. 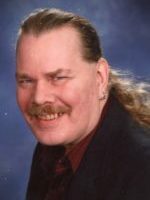 Don passed away Saturday, January 14, 2017 in Kalamazoo. He was born February 10, 1959 in Plainwell the son of Donald and Eileen (Smith) Wilson. Don had been a snowmaker at Bittersweet when it first opened and had spent 25 years at Parker Hannifin Brass. He lived on his grandfather’s farm where he enjoyed riding horses. 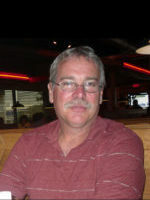 Don also loved riding motorcycles, getting muddy on his quads, camping, spending time outdoors, hunting, fishing and line dancing with the Bresa Brats. Don was always up for an adventure and had a great sense of humor. He was a member of the Otsego Moose Lodge, the Goble’s Drift Busters Snowmobile Club, the Kalamazoo Rod and Gun Club and had been a volunteer fireman like his dad, brother and son for the Alamo Fire Department. On July 30, 1983 in Allegan he married Denise Rowley who survives. Also surviving are his children, Lorrie (Brad) Bush of Martin and Jeremy Wilson of Alamo; grandchildren, Blake, Ashley, Ethan and Alison; his parents; siblings, Clayton (Barbara) Wilson and Diana (Douglas) Leffring along with many nieces and nephews. Friends may visit with Don’s family from 6-8 P.M. Monday, January 16, 2017 at the Winkel Funeral Home, Otsego, where a funeral service will take place Tuesday, January 17, 2017 at 1:00 P.M. with Celebrant, Bill Rose officiating. Contributions in memory of Don may be made to the American Cancer Society.